October 12, 2016 – Planets that revolve around two suns may surprisingly survive the violent late stages of the stars’ lives, according to new research out of the NASA Goddard Space Flight Center and York University. 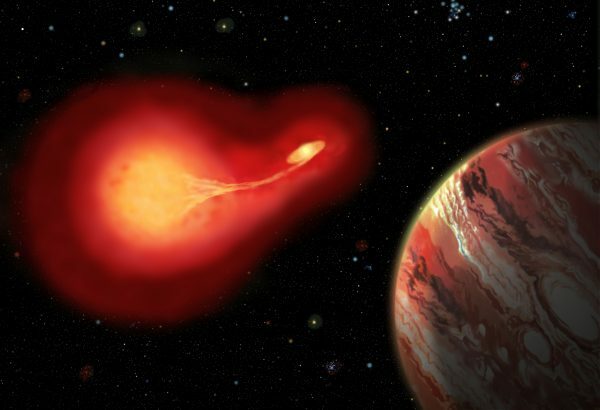 The finding is surprising because planets orbiting close to a single sun, like Mercury and Venus in our solar system, would be destroyed when the aging star swells into a red giant. Led by Veselin Kostov at the NASA Goddard Space Flight Center, in collaboration with York University master’s student Keavin Moore and Professor Ray Jayawardhana, the study found that planets orbiting two (binary) stars – also referred to as circumbinary planets or “Tatooine worlds” after the iconic planetary home of Luke Skywalker in Star Wars – often escape death and destruction by moving out to wider orbits. The paper, “Tatooine’s Future: The Eccentric Response of Kepler’s Circumbinary Planets to Common-Envelope Evolution of their Host Stars,” has been accepted for publication in The Astrophysical Journal. Binary star systems are ubiquitous in the Universe and consist of two stars that orbit around a common center of gravity. If the two stars are close enough to each other, when one starts evolving and expanding into a giant, they exchange material and spiral towards each other resulting in their sharing a common atmosphere (also called a common envelope). The binary star system ends up losing a large amount of mass, or might be destroyed in a supernova explosion. 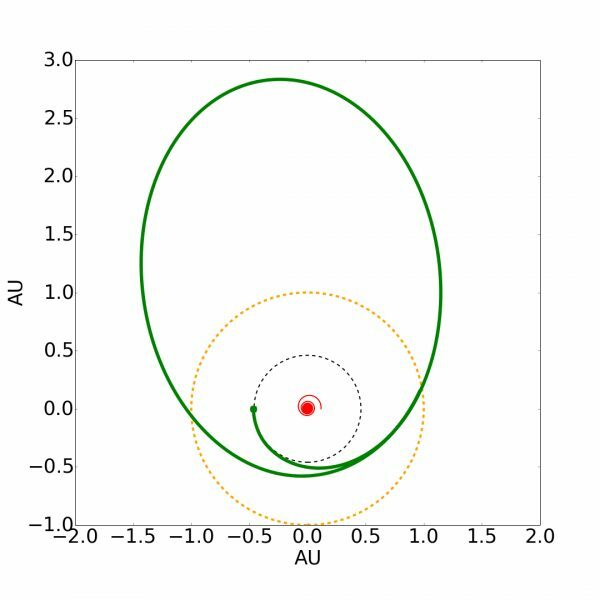 Reconfiguration of the orbit of planet (green) initially orbiting the binary at Mercury’s distance (black dotted). If the binary was instead a single, Solar-type star, it would expand to the yellow dashed circle during the Red Giant Stage, engulfing Mercury, Venus, and even potentially Earth itself. The team, which also included Daniel Tamayo of the Canadian Institute for Theoretical Astrophysics and Stephen Rinehart of NASA Goddard, simulated the fate of nine circumbinary planets recently discovered by NASA’s Kepler mission. They found that the planets will predominantly survive the common envelope phase – even those orbiting very close to their stars. In addition, the planets can migrate to farther orbits similar to what it would be like if Venus moved out to where Uranus orbits our Sun. In some cases, planets can even reach more than twice the distance to Pluto. Interestingly, when there are multiple planets orbiting a binary star, some can be ejected from the system, while others can switch places or even collide with their stars.